C3 Cyclists are an enthusiastic community of people from C3 Churches and beyond who love cycling, want to be outwardly focused on helping others, want to connect with other cyclists, want to improve their health and fitness and achieve something significant! 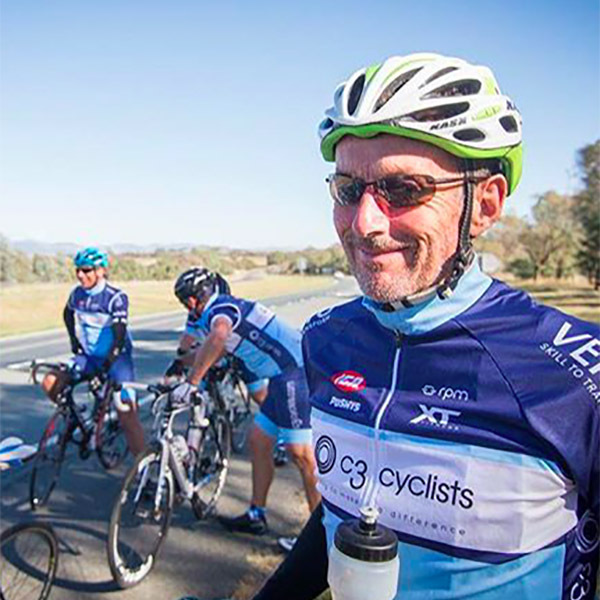 C3 Cyclists was started in 2010 by a group of 12 cyclists from C3 Mount Annan, and has now expanded to many other C3 Global Churches including C3 Oxford Falls. Since its inception, C3 Cyclists has raised over $215,000 for charities directly assisting sick kids in need. We believe this is a high impact in the lives of many and is a pivotal influence into the communities we are part of. We offer a range of different activities, rides, tours that everyone can be involved with. Some are, but not limited to: Weekend Bunch Rides, Yearly Tours (Main Fundraising event with Humpty Dumpty Foundation), One Day events (e.g. CAP Ride) and more to come! 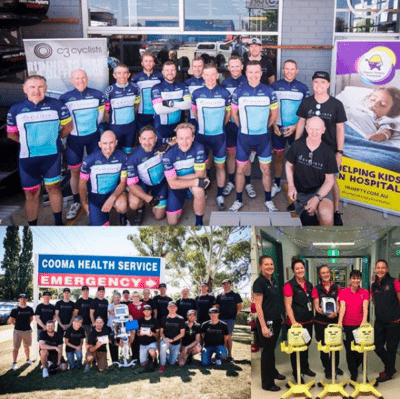 C3 Cyclists rode 618km from Albury to Canberra on 'The Alps Tour' to raise $50,000 for the Humpty Dumpty Foundation. Through Humpty, we have been able to donate life-saving medical equipment to Albury and Cooma Hospitals to help save kids' lives. Riders challenged themselves, supported a great cause and hung amongst a great group of people who will become life long friends. For Albury Wodonga Health Service, we were able to provide 'Humpty's Breath of Life', 3x Symphony Breast Pumps and an Airvo 2 Humidifier. For Cooma Hospital, we provided an Intellivue MX450 Patient Monitor (at $21,500) and an Astodia Diaphanoscope.